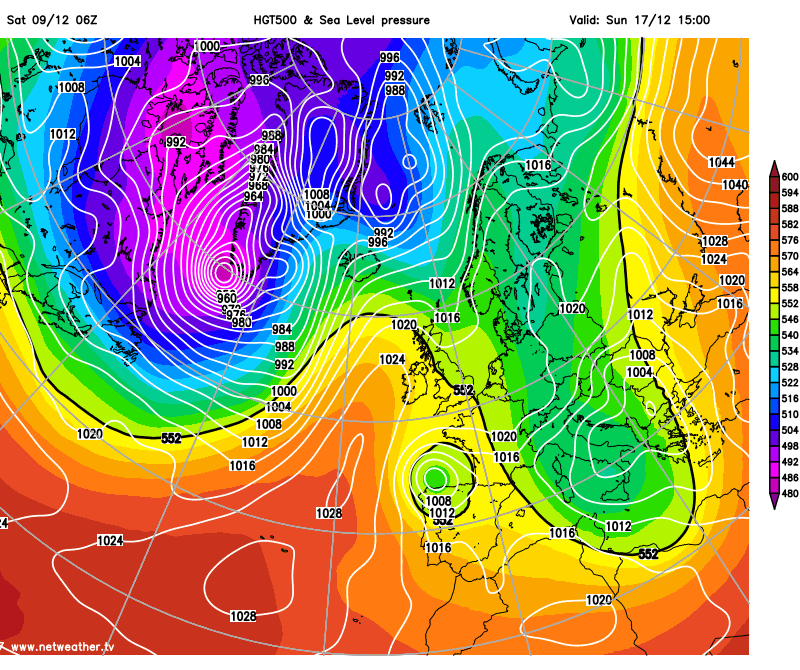 What will happen if this low misses all together. 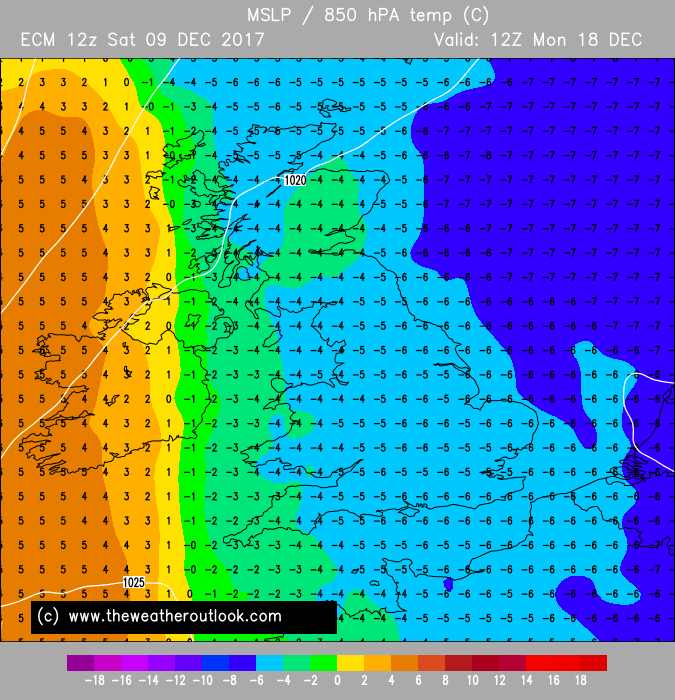 Will it draw colder winds from the north?  I see some people regarding ARGEPE and AROME as lesser models. 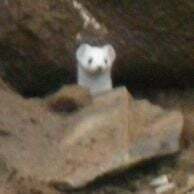 - they are not lesser, they are just short-range models so not used for medium term analysis. The ARGEPE in particular is at least the equal of the GFS at T24/T48. It usually has no truck at all with phantom marginal snow events, so worth taking seriously. We now have a rather crazy situation at just T24 where there is not agreement on the track, and virtually no identical charts for T48. 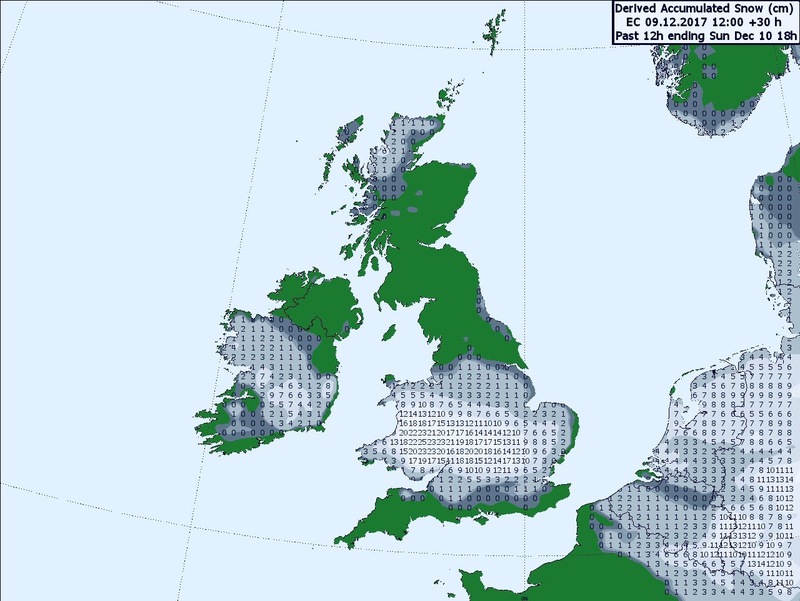 So far on the 12Zs, I see the even more southerly track (heaviest snow in a line from St Albans through to Oxford and Brecon Beacons - backed by AROME, ARGEPE, HIRLAM and GEM), more favoured than the northerly one (heaviest snow Cambridge to Birmingham to Mid/N Wales, backed by GFS and NNM). 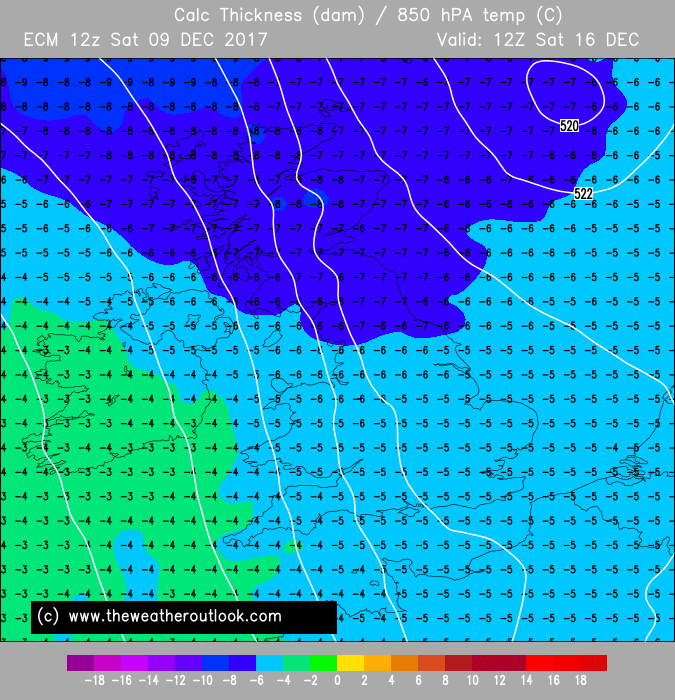 Afterwards, most models allow the area of snow to drift south of the M4, with most southern counties from Dartmoor east affected (perhaps not the coast), except a little variance on how much the SE is affected. This is going to be a very tricky area to forecast. We know from ordinary rain events that it is very hard to predict how quickly an active front will lose intensity, and so the whole of the south may wake up on Monday morning to 6 inches of snow or nothing. aprege' is a non fluctuation @24/36hrs out and is normaly the fruition mod..in such situ..ie slider/battle cold/mild factions!!!.. Although im taking a 10 mile southerly track atm into mind as the feature rolls in...with mild sector mixing imo looking less influential!!.. Due to statics and aranged over-heads!!??.. 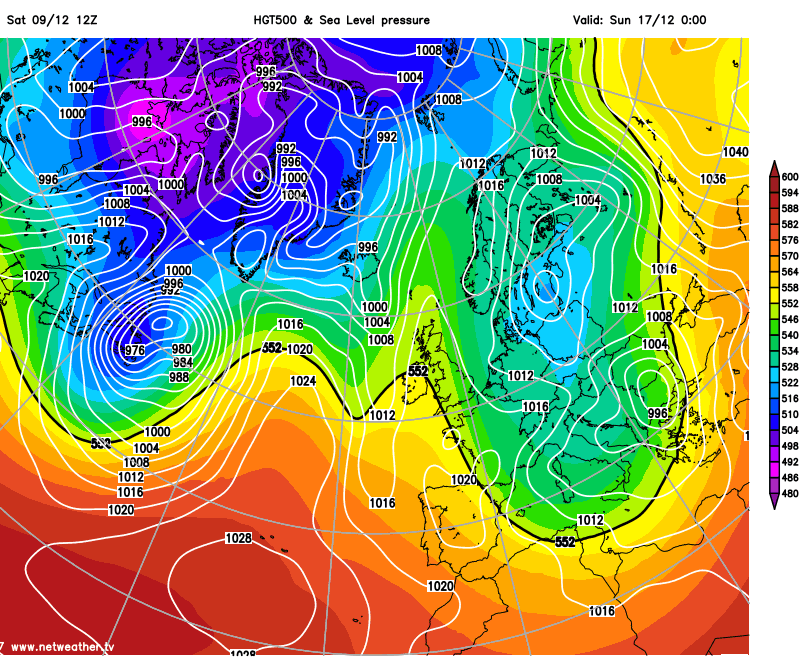 Euro4 continues with the southward shift.! 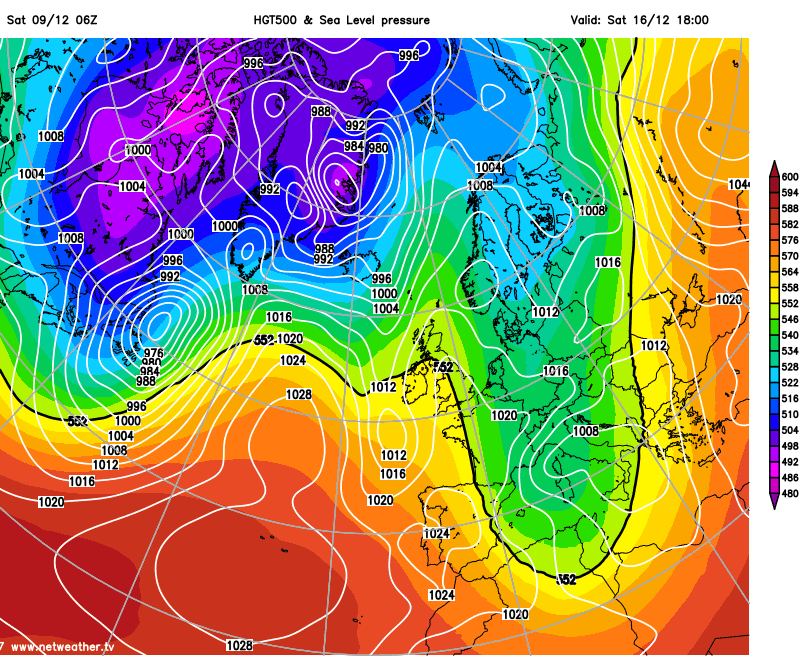 And hot off the press - ECM joins the party ! 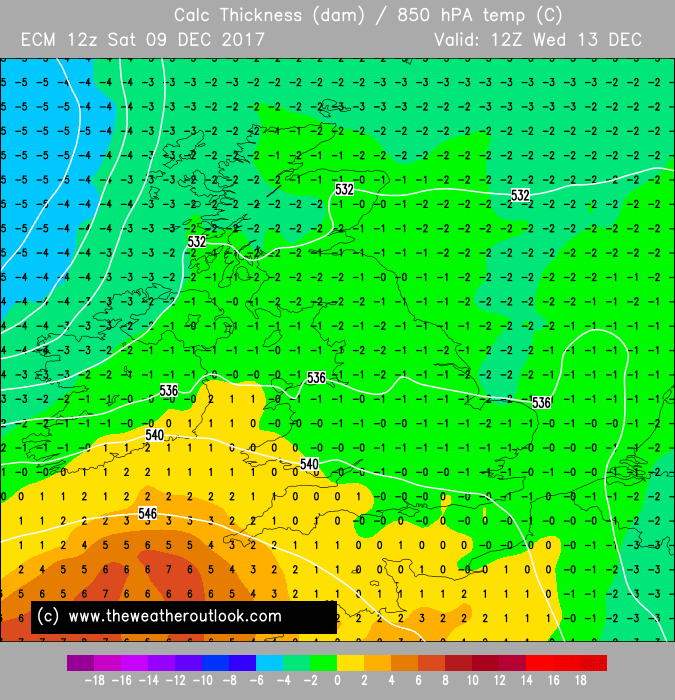 Just had a wee shufty at the GFS 12Z...It looks far from a mobile westerly, I think; and that Xmas Day Channel low would be a Yuletide gift too far! 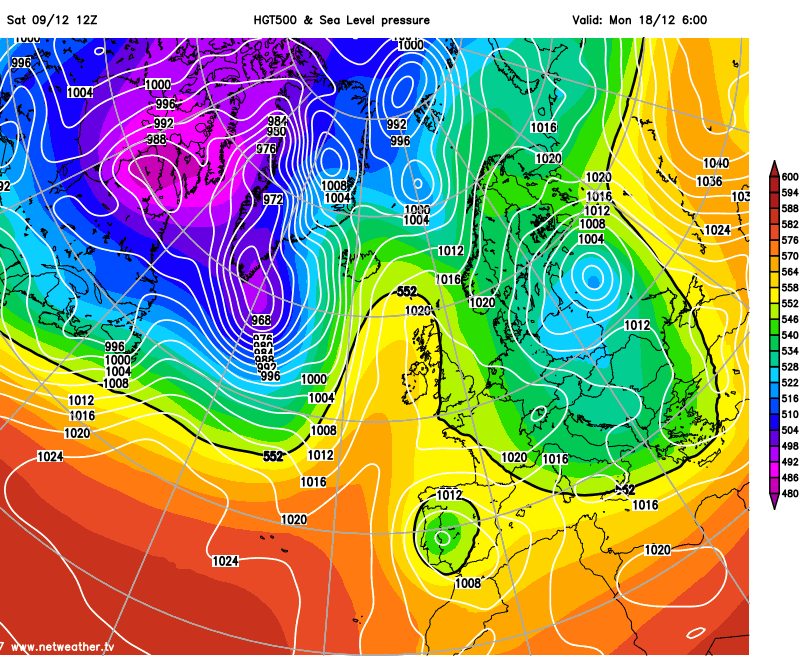 Lovely looking 12z ECM thus far, and Atlantic ridge next weekend for me is a almost a given. 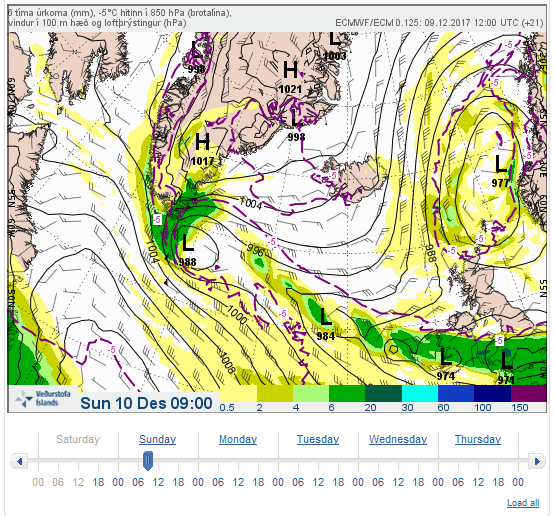 Longer term ahead, early signs by GFS that it will get far more interesting than flattening and zonal....watch for more wild jetstream meandering. Very near term I think that precip levels have and will up, the strong solar burst I mentioned the other day now being felt, hence ‘adjustments’ galore. I think we have a notable big event about to happen for time of year. Quite quiet on here this evening perhaps people are out having their staff Christmas parties! 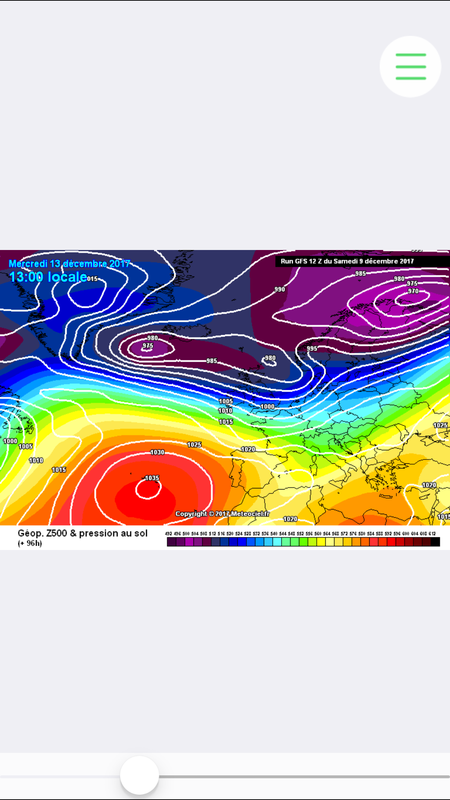 Midweek looking unsettled, wet and windy but the weekend should improve with high pressure moving back into the west. 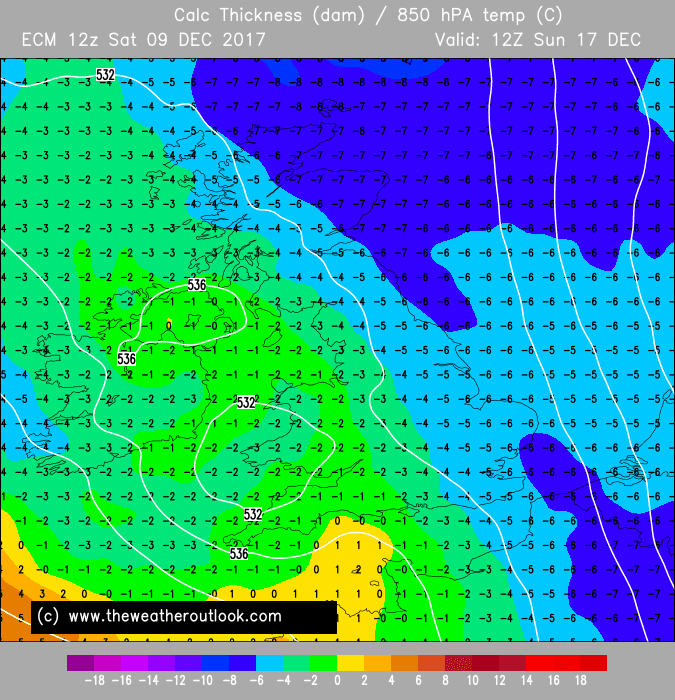 Two GFS runs (6Z/12Z) on a trot now, have formed a low SW of ireland next weekend, cutting it off and then dropping it like a stone through Iberia into North Africa, not sure if i've ever seen that before. 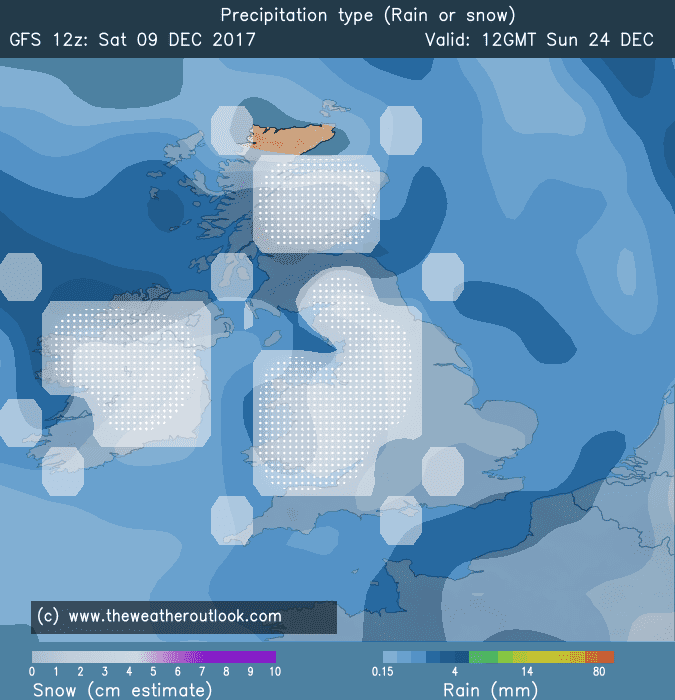 Now that Christmas day is in range of the Gfs it's going to be fun viewing what the big day has in store..currently it looks like a white Christmas for some of us! 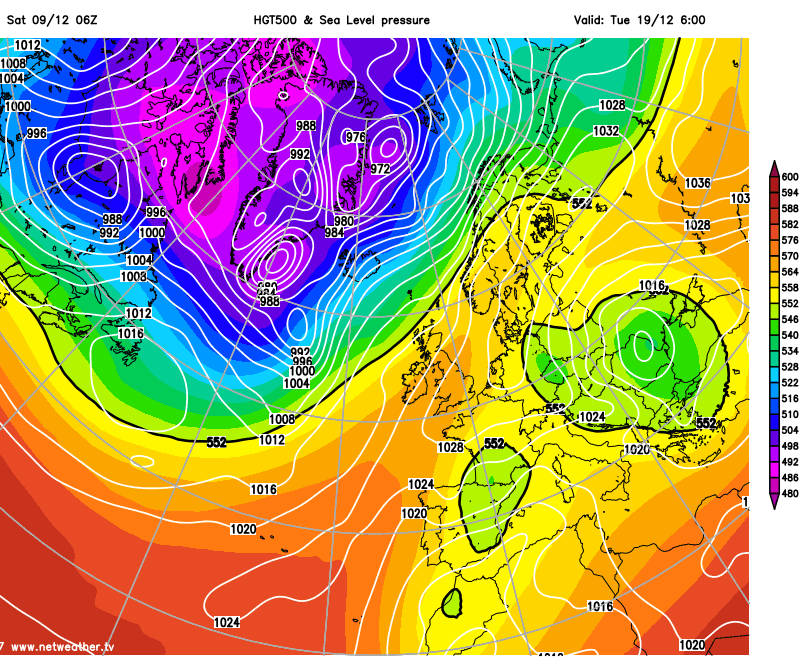 ECM 192 is pretty good- would take that with open arms ! 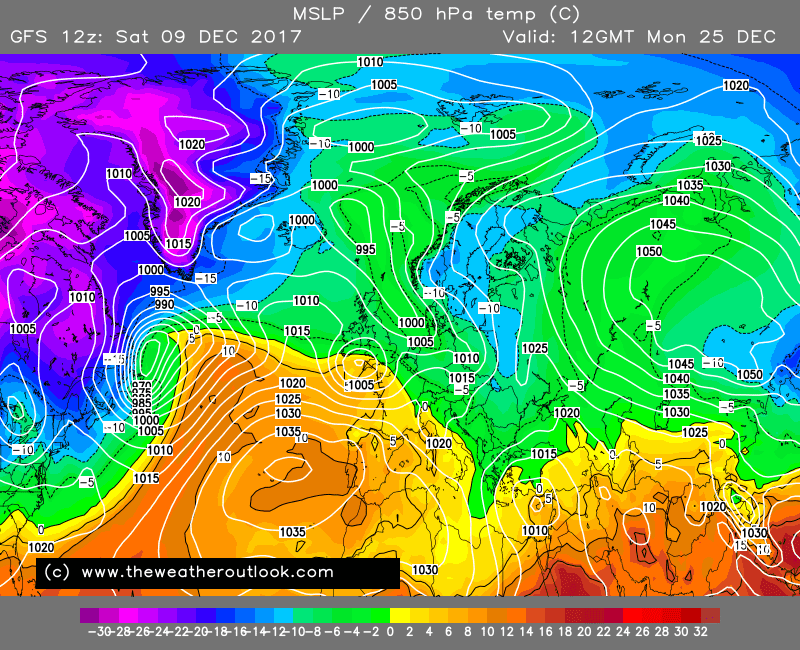 Yep, temps dropping on the near continent. Have a feeling it may be a while to get a trigger to help fire the bullet though. Looks V cold. 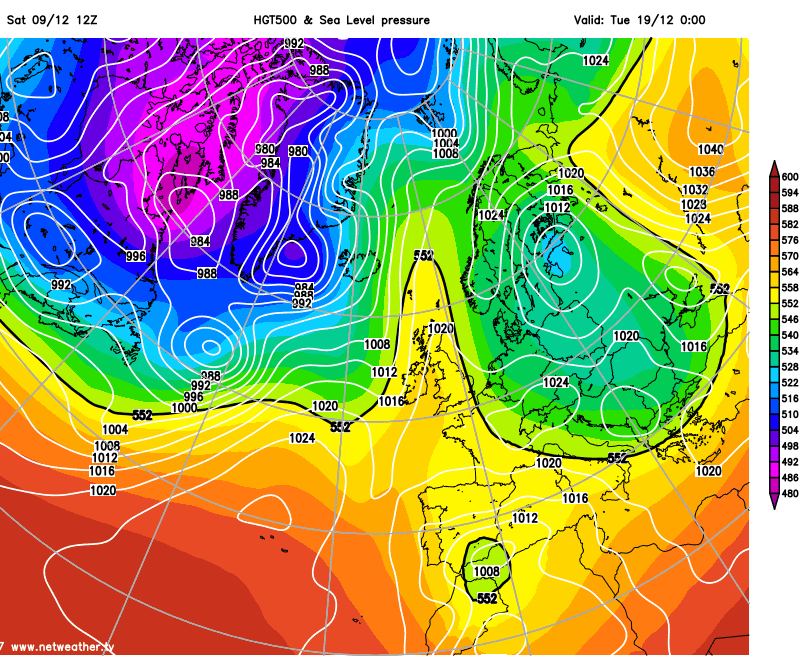 If skies are clear we could see some intense frosts. At 240, one word springs to mind.....'primed'! It's amazing that the other models are dished out when on the hunt for snow? 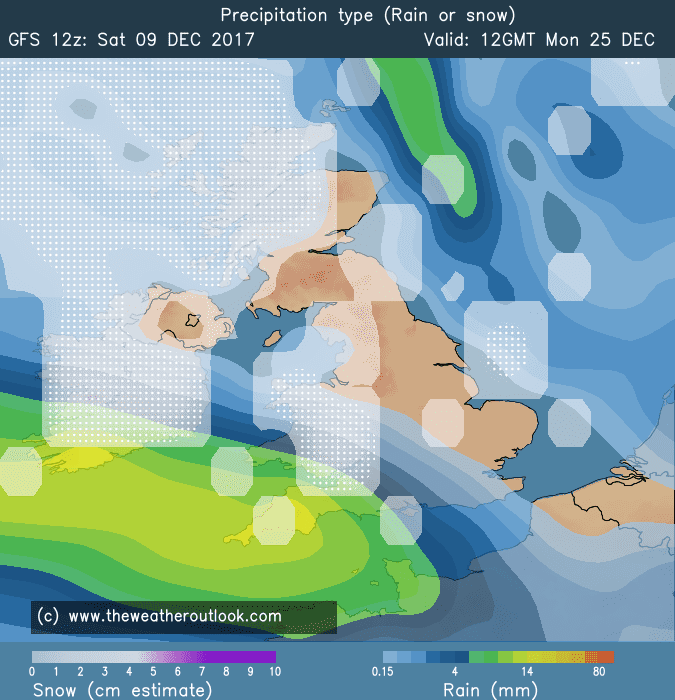 The poor mods have waved the white flag!I suppose you can't blame members after the last mild wet winters.I think there could be some interest next weekend again something we need to watch. I beg to disagree with this. 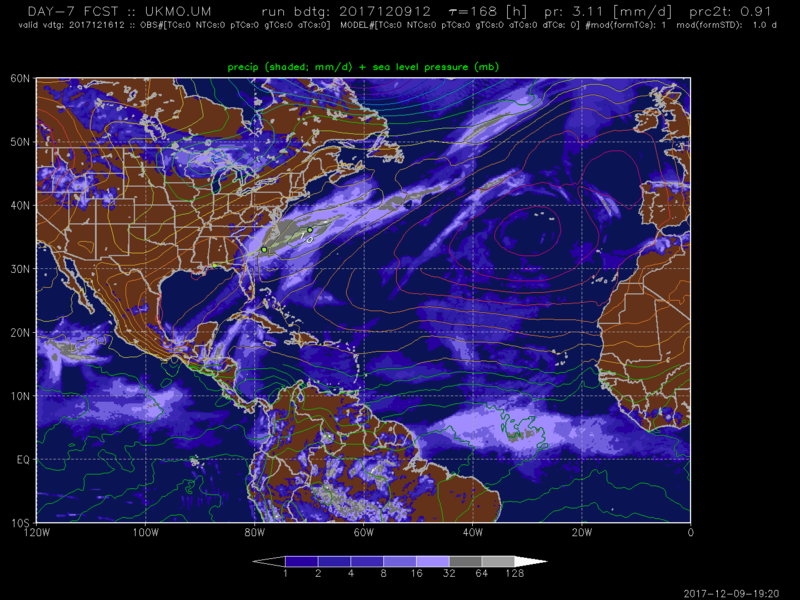 The reason that these models are being posted (HIRLAM, AROME, ARPEGE, ICON-EU (this one runs 8 times a day)) is because they are at a higher resoulution than the big 3 and run to a shorter time and are hopefully better able to resolve precipitation. GFS is pretty hopeless at this. 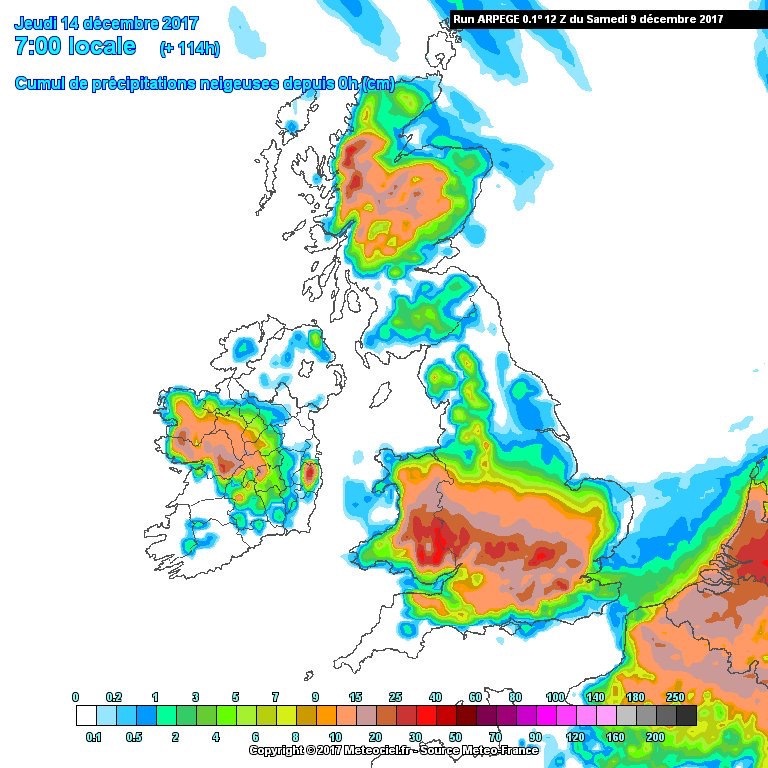 The reason these have not been trotted out recently is that this is the first time since Mar 13 that a significant snow event is forecast this close in time for most of England. 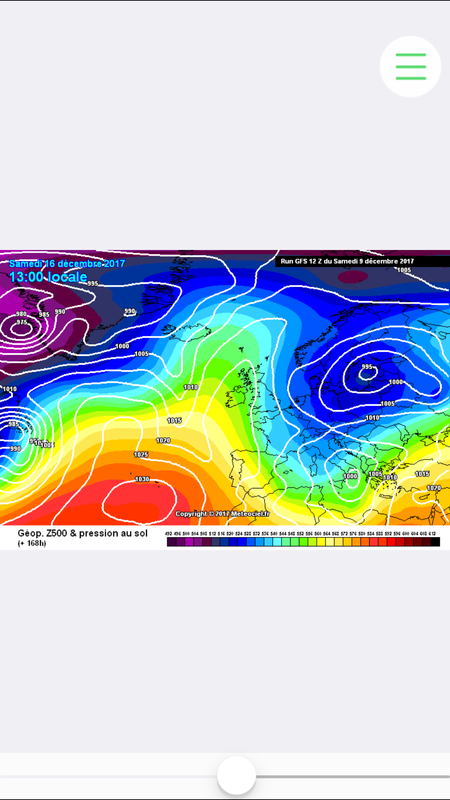 But having viewed output from these models, large uncertainty has remained over the snow risk from the slider event. I think for the last 24 hours we may have been in a scenario where 6 hours more data is no longer useful i.e. The main uncertainty is outwith the models, maybe local conditions that they can,t resolve. 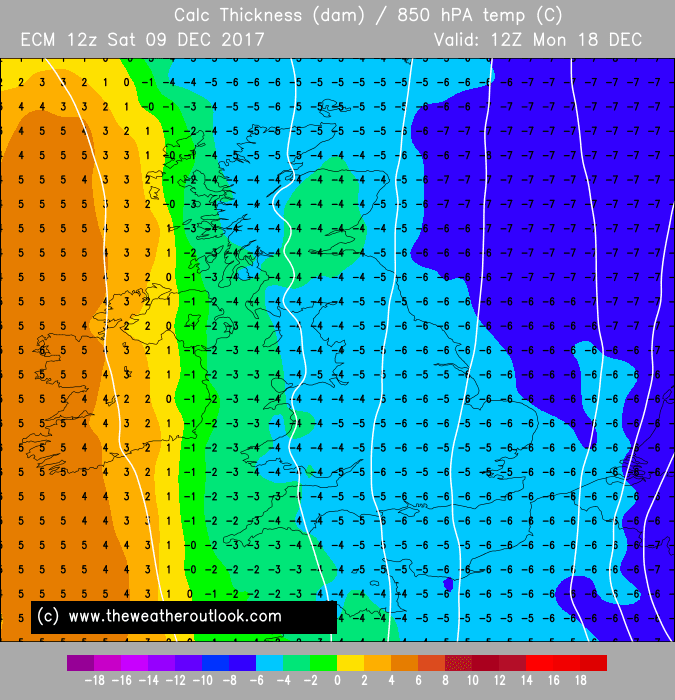 So tomorrow becomes a nowcast - good luck everyone! Edited December 9, 2017 by phil nw. 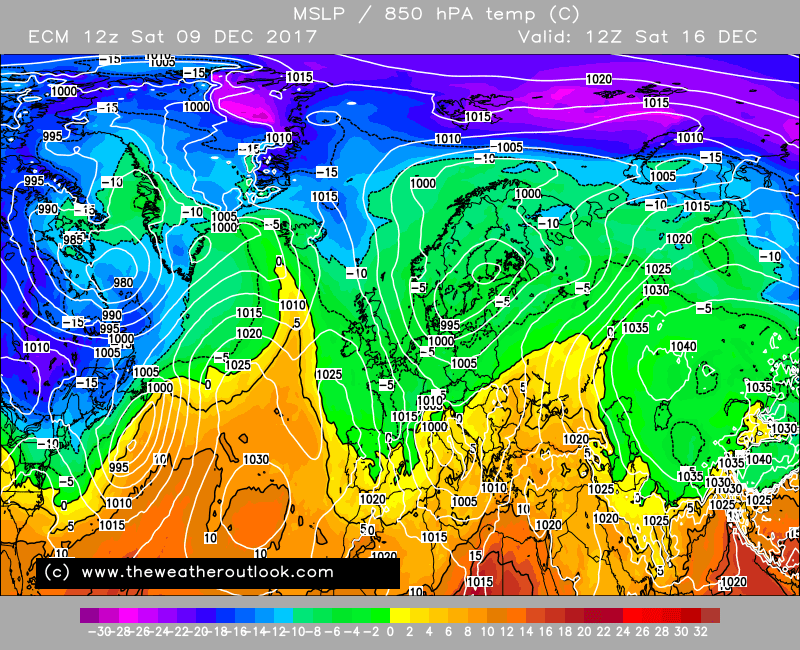 Nice to see the cold air heading back south again following a less cold midweek blip, looks better than the Ecm 00z. Unfortunately is all gone South snow line now south of Coventry I'm sorry shaky and the low moves south. There an hours difference between the precip charts. Not much fifference that I can see. Variations on a theme if I'm being honest. The GFS Control looks a little progressive but the others all have a hint of rising heights over Scandinavia and while GEM does its usual of overblowing Atlantic LPs, neither GFS OP nor ECM scream a raging zonal Atlantic. Indeed, the Atlantic systems look weak and flabby in contrast to what you'd expect in midwinter. To be fair, a glance at the 12Z Ensembles suggests three likely paths - the Atlantic in charge, pressure rising from the south and pressure rising to the NE. 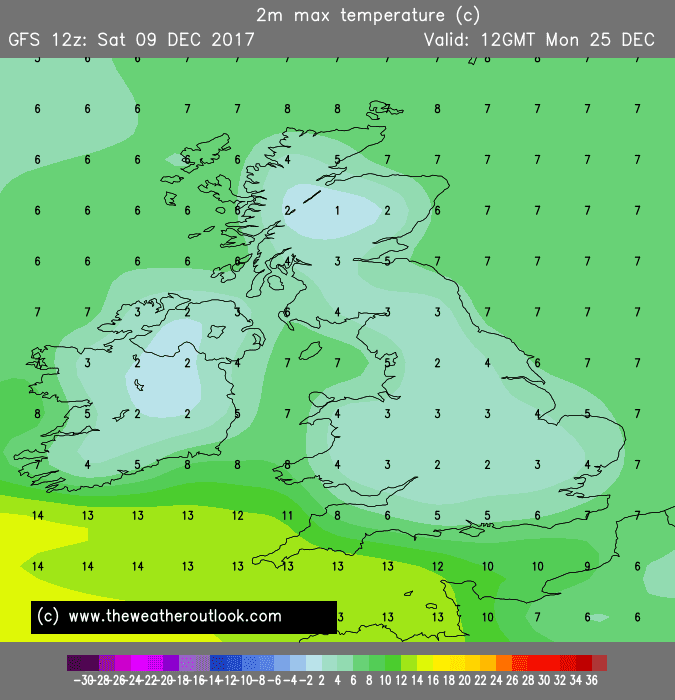 I wouldn't rule any out for the run up to Christmas at this time. 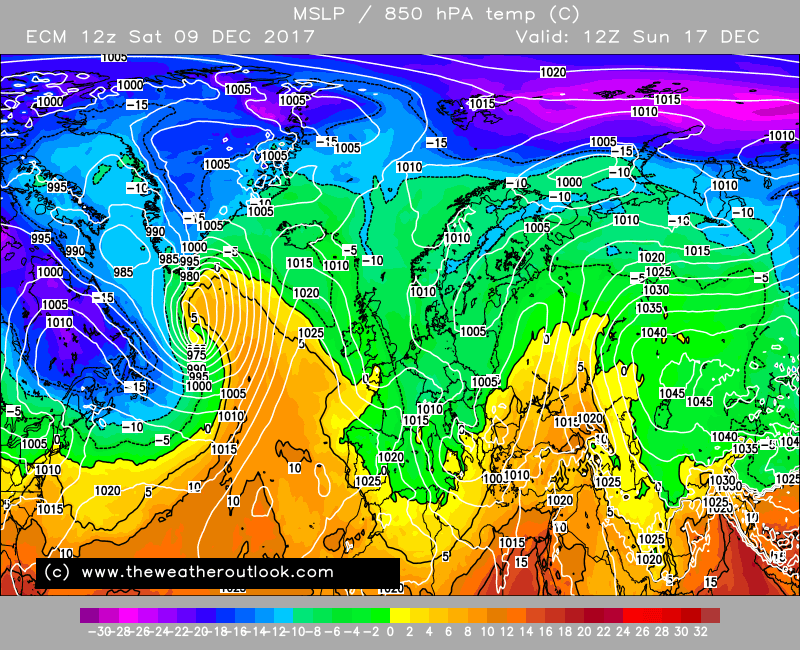 Perhaps we'll get a big HP centred right over us and some serious midwinter inversion with fog and severe frost for all.